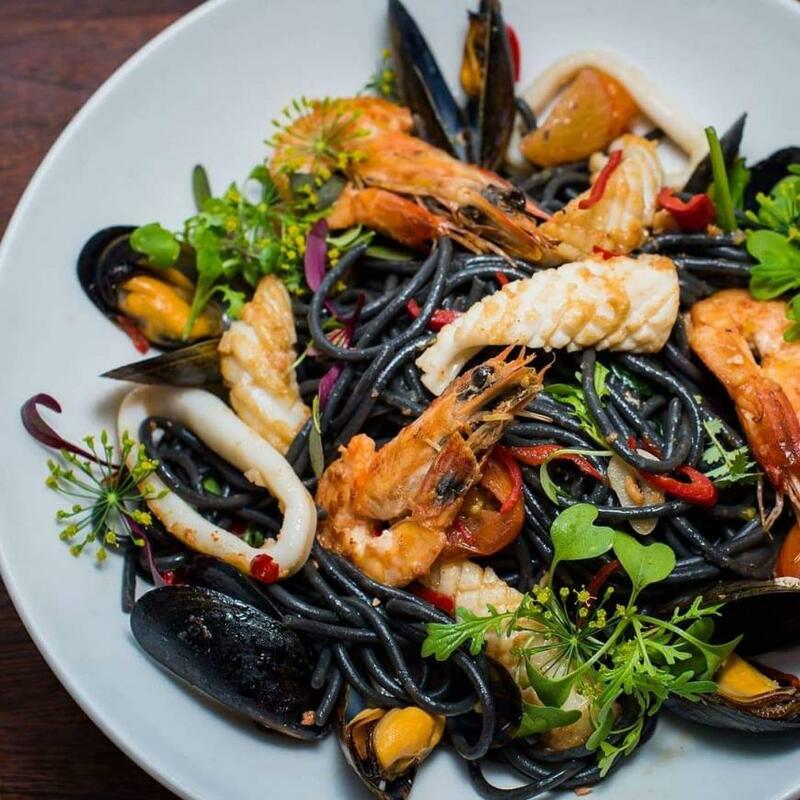 A distinctive black and white three-storey building just a stone’s throw from the Atlantic Ocean, in downtown Salthill, Joanna Paszkiewicz and Chef Leon Mellsop's Black Cat has been a casual dining destination of choice for discerning Galwegians since 2011 - and no wonder. Seats 33. Open Sun-Wed 12-9, Thu-Sat 12-10. A la carte. MasterCard, Visa. 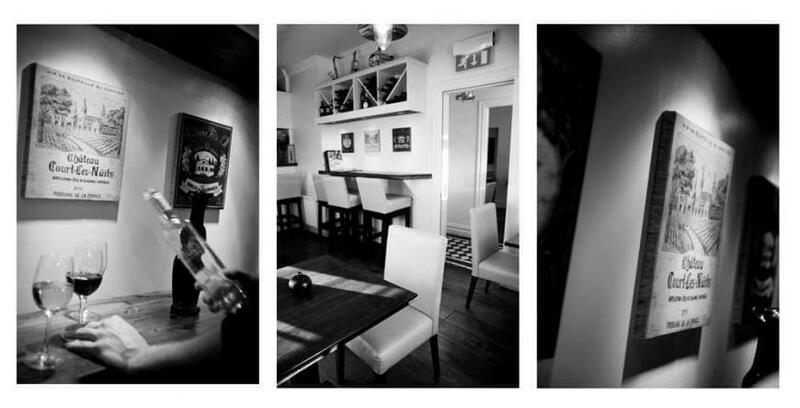 A distinctive black and white three-storey building in downtown Salthill, just a stone’s throw from the Atlantic Ocean, Joanna Paszkiewicz and Chef Leon Mellsop's Black Cat has been a casual dining destination of choice for discerning Galwegians (and lucky visitors) since 2011 - and no wonder. 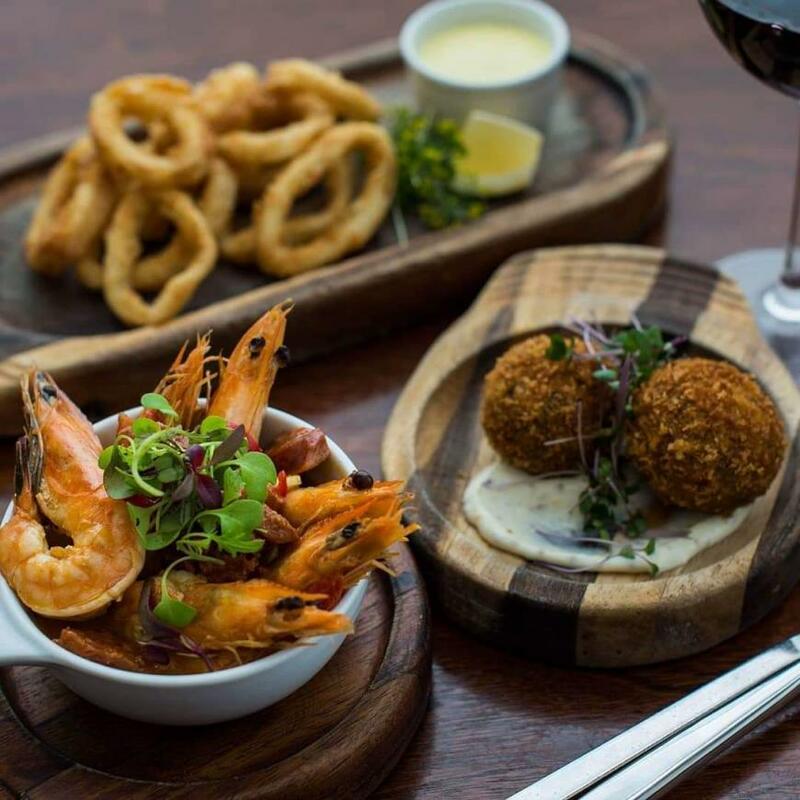 The simple billing 'Wine-Tapas-Jazz' gives a good sense of this relaxed and atmospheric venue, and the special ambience - plus consistently excellent cooking and great staff - are the secret of its success. The black and white theme continues in the décor, and jazz prints on the walls and a mix of high and low tables in the two eating areas create a cosy, casual and restful feel - as do the staff, who are welcoming and knowledgeable about the food. 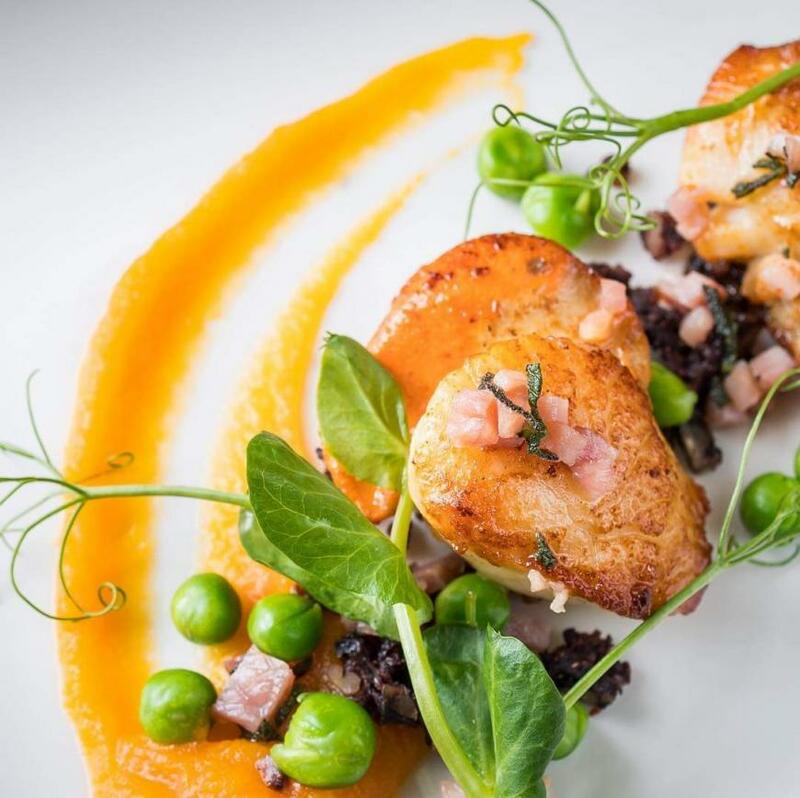 Whether for a leisurely lunch, a chilled afternoon bite or an evening out, Leon's menus offer a well balanced but surprisingly extensive range of choices that might set off alarm bells in lesser hands. Somehow managing to achieve a rare combination of quantity and quality, Black Cat sets out its standards very clearly with a sourcing statement on the menu: 'Our beef and chicken are Irish and locally produced'. And the culinarily curious will also find some fascinating supplier information on the website, which hihlights lesser known specialists such as The Village Dairy (organic milk) as well as regional heavyweights including Castlemine Farm, The Friendly Farmer, Ali's Fishmarket and Marty's Mussels. While many fans come especially for the tapas style dishes, there are plenty of appealing traditional dining options too - soup of the day or chowder, tempura fish & chips and gourmet sandwiches among the lunch and afternoon choices, for example. There are sharing platters and salads too, and evening specials like venison loin and Collleran's char-grilled angus sirloin steak available after 6pm. You might try the delicious Castlemine farm lamb sliders (3 mini brioche burgers with rocket & Aran Island feta), for example, or crispy calamari rings with a lime aioli - or delicately flavoured, perfecly cooked seared scallops with black pudding, smoked bacon, pea, sage butter & squash purée... Good accompaniments might include grilled halloumi (with courgette, red pepper, toasted pine nuts & salsa verde) and the patatas bravas (crisp potato cubes with chorizo, spinach and smoked paprika aioli) are excellent. Desserts may not be a big thing here - there are just seven to choose from - but something like a chilled amaretto poached pear with toasted almonds & vanilla ice cream should make a luscious ending for a tasty meal. And the drinks menu offers well selected wines in three sizes (glass, half litre, bottle) a good choice of beers and ciders (including some local names) and no less than 12 different flavours on the tea list, including the exotic sounding 'ayurveda & rooibush'... Quite a place.